Posted on March 18, 2019 by Andy Higgs in Home. The area around Niagara Falls is home to a wide variety of wildlife, including mammals, bird, reptiles and amphibians. Most people visiting the area see at least a few of these creatures during their tour. Keen birdwatchers will be delighted to know that the Niagara region hosts more than 300 bird species. The more common varieties in the area include robins, cardinals, blue jays, chickadees, woodpeckers, wrens, finches, Canada geese, thrushes and gulls. The cardinals and chickadees are there all year round, while rarer species like the swallow and the purple martin arrive in late spring and leave once more in autumn. There are quite a few birds of prey in the region, too – red-tailed hawks, several species of owl, including the great horned owl (the largest in the region), sparrow hawks and turkey vultures. A frequent sight along the riverbanks is the great blue heron, and there are many more varieties of waterbird around Niagara, mostly ducks and mallards. 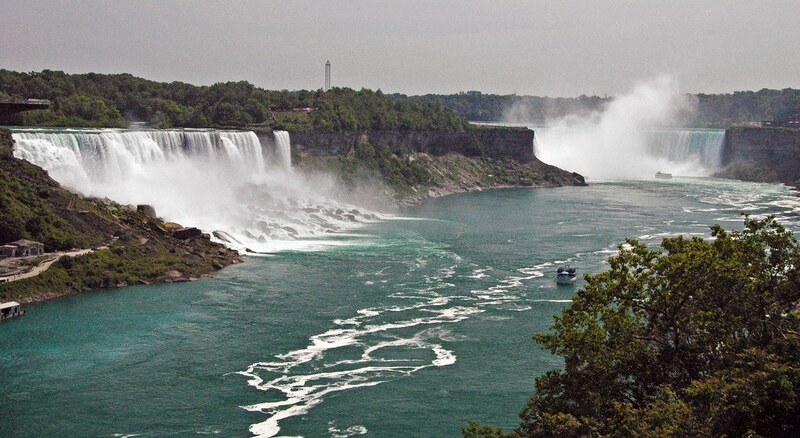 Apart from the falls themselves, the area is dominated by the Niagara Escarpment, a huge land ridge that reaches up to 1,675 feet in height and extends for 450 miles from Queenston to Tobermorey. This feature is a gift for anyone interested in wildlife and ecology as it offers visitors the chance to see the many bird species, as well as more than 50 different mammals, 30-plus types of lizard and many varieties of rare plants, including wild orchids. It’s worth booking into a Niagara Falls hotel for a few days to fully explore the area. There’s the Beamer Conservation Area at Grimsby, the highest point of the escarpment and it’s here that people gather in spring to see the migration of hawks and eagles as they travel across Lake Ontario to gather in their summer nesting grounds. Mammal fans won’t be disappointed either, as there are more than 50 species of mammal there. There’s squirrels, skunks and raccoons, as well as white-tailed deer, weasels, rabbits, red foxes and muskrats. Of course sightings aren’t guaranteed, but most walkers see something to remember. Black bears and mountain lions were once common in this region, but have been eradicated in recent decades. The area around Niagara also boasts one of the largest and most varied populations of amphibians and reptiles. There are a few species of snake to be found in the area, in particular the common garter snake and milk snake. There used to be quite a few of the venomous timber rattlesnakes – dreaded by the locals – but they are believed to be extinct in this area as the last one was seen in 1959. Click here to read more about venomous snakes. Frogs and toads are a common sight, too, with bullfrogs and the American toad featuring in many a visitor’s photograph. If it’s a sunny day the turtles might come out to warm themselves up in their marsh homelands. The painted turtle and the snapping turtle also live in this region.